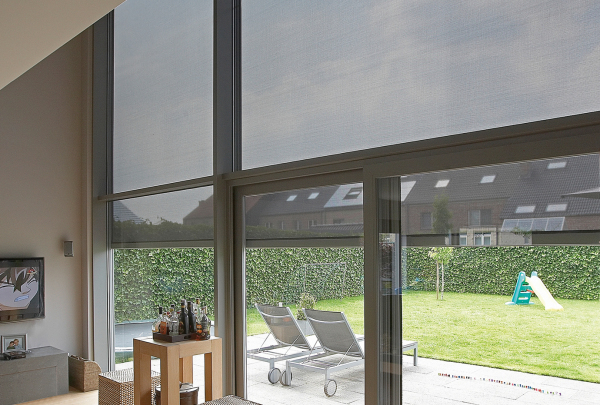 The Fixscreen® is the first external roller blind in the world that is truly wind tight. Equipped with an ingenious zip system, the fabric is wind tight in every position and when closed is fully insect-proof. Fixscreen sets the bar high in terms of design, offering a wide choice of colours for the fabric and aluminium parts, a discrete integration into your wall, and a smooth wrinkle-free fabric. 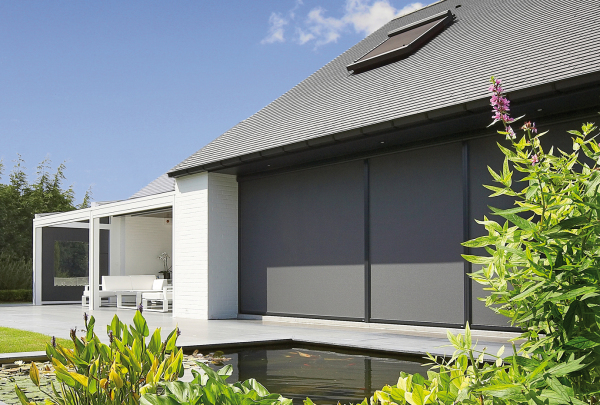 External roller blinds are an integral part of your home. ​An external roller blind not only ensures a comfortable indoor climate in your home, but also prevents annoying reflections or glare. For extra comfort, your external roller blinds can be fully automated - so the system always ensures optimum temperature, even when you are not home. The updated guidance system (Smooth technology) allows for even stronger wind resistance and extremely smooth operation of your external roller blind. Thanks to a perfect installation by an authorised dealer and the best warranty on the market, you can enjoy many years of sun protection without worry. 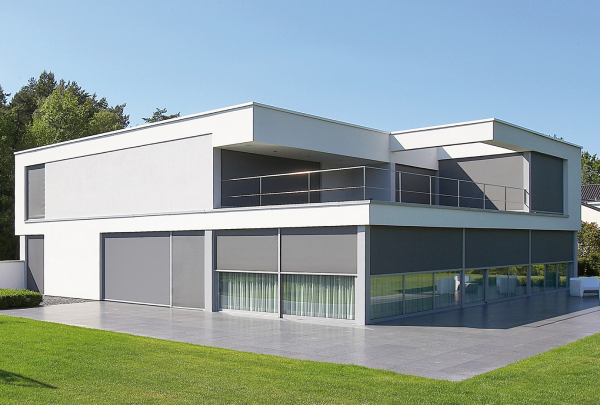 This external roller blind offers the best in quality, design and easy installation. 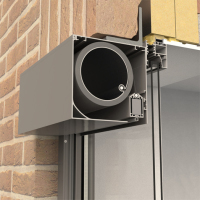 The Fixscreen® Technology ensures that this screen is windproof in any position. Flapping and torn fabrics are now a thing of the past. 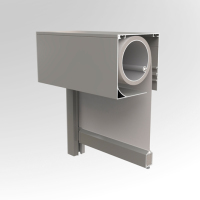 The new aluminium endcaps provide extra stability and can be coated in the same colour as the profiles. 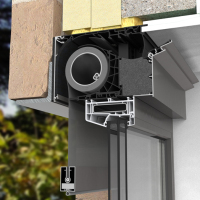 The Fixscreen® Mono AKEVO is integrated into the architecture of your home. In this way it offers greater added value. This sun protection screen helps to create a healthy indoor climate in your home with added visual and thermal value and extra acoustic comfort. 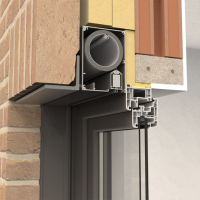 The Fixvent® Mono AKEVO provides sun protection and ventilation with the windows closed, plus it is draught-free due to a self-regulating flap that inhibits the wind. With Fixscreen® Technology, this option is windproof in every position, with protection from wind speeds up to and including 130 km/h. When closed, the screen can also be used as a mosquito net. 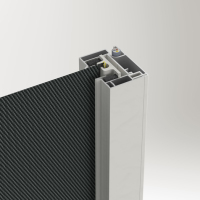 The look of the box, the side channels and the bottom rail define the look of your Fixscreen®. 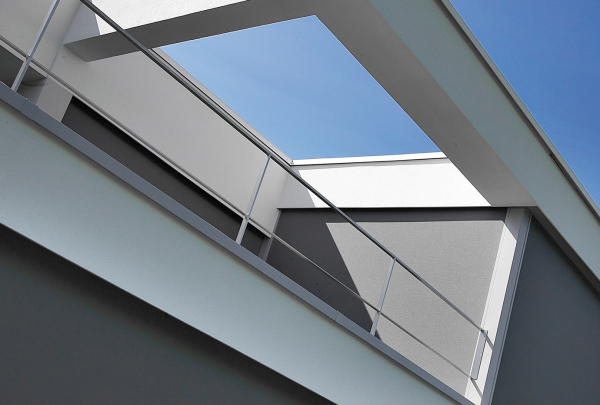 They are made of aluminum profiles and are available in all RAL colours. This ensures perfect integration with your exterior and façade. 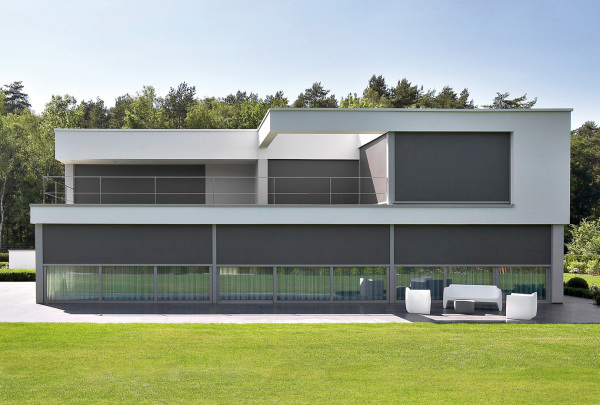 Match the colour of your external roller blind with the style of your façade. ​In addition, the bottom rail disappears completely into the box. In this way, you can enjoy your glass surface to a maximum.